Chelsea defender Gary Cahill has been linked with a surprise late exit with a move to Galatasaray being touted for the stalwart. The 32-year-old has been a key figure for the Blues since arriving in 2011, making 282 appearances for the club while winning a whole host of trophies including two Premier League titles and the Champions League. Although he has naturally fallen short of the levels previously set as he edges closer to the latter stages of his career, his experience, defensive solidity and leadership could arguably still be considered important assets to have in the Chelsea squad. 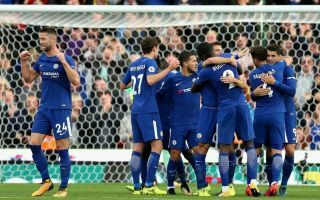 However, with Maurizio Sarri preferring Antonio Rudiger and David Luiz as his first-choice centre-half pairing in the opening two Premier League games, it remains to be seen whether or not the Italian tactician intends on using Cahill this season. As reported by The Sun via reports in Turkey, such is the uncertainty it has even been suggested that Chelsea could allow him to leave as he’s been allowed to talk with Galatasaray to seal a move to join the Turkish giants where he will likely have better prospects of playing regularly. Coupled with the fact that his current contract is set to expire at the end of the season, a long-term future at Stamford Bridge doesn’t look particularly likely but it remains to be seen whether or not the England international opts to stay and fight for his place or accepts a move abroad to get minutes. Sarri spoke about Cahill in his press conference on Friday, as per the Metro, suggesting that he will have to continue to work hard in training to impress enough to force his way into the line-up. In turn, that perhaps still offers hope that he can feature with Chelsea looking to compete on various fronts this season and so they will be in need of quality depth.